I am fascinated by how ideas come, how they’re created – so many elements, some seemingly random, yet they come together to test concepts, fuse thoughts and generally do something ‘new’. Like with garden eggs. I think I like the whole exploration, the journey, the process of building, of constructing, of putting together. I like that as much as I like seeing the end result. This creation of garri-crusted garden eggs began months ago. And quite by accident. For my own learning, I’m going to chart the course. Garri (also known as gari, garry, or tapioca) is a popular West African food made from cassava tubers. The spelling ‘garri’ is mainly used in Cameroon, Sierra Leone, Benin, Togo and ‘gari’ in Ghana. Either spelling may be used in Nigeria. 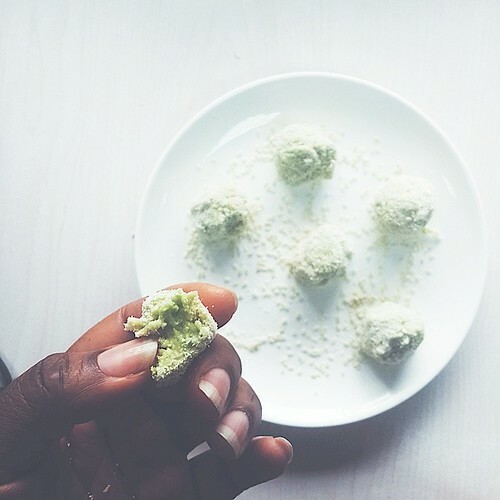 I grew up combining salted, creamy avocado still in its shell with the sour crunch from garri sprinkled on top. Talk about delightful contrasts – the avocado, soft and smooth and then the crunch from the garri. 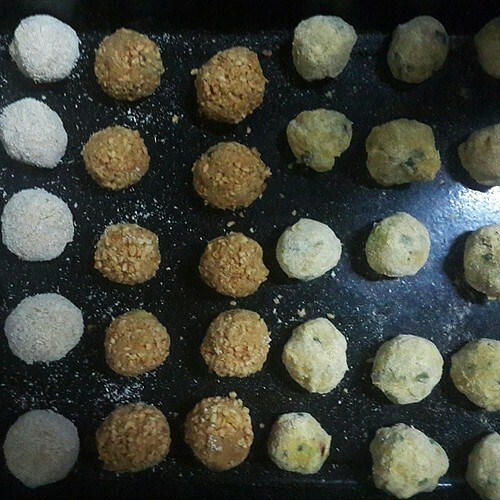 Because I like to experiment with food and I’m quite obsessed with ‘Nigerian small chops’ as a category in our cuisine, I decide to make ‘Avocado truffles rolled in garri’. Boy, the combination was awesome. 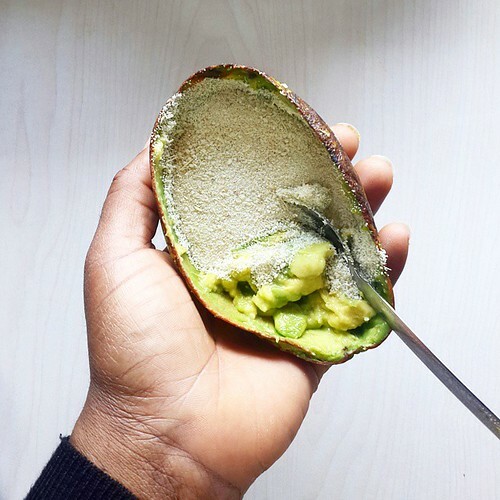 I mashed the avocado up, seasoned it with salt and hot sauce and rolled it in the finest sort of garri Ijebu, Wenku. This garri is quite sour and milled so fine, it’s like sharp sand. Wenku [Yoruba]. From the phrase ‘O wen ku‘, meaning ‘It is very smooth.’ And sour with crunchy grains. Also known as Lebu, milled output of ‘Koko‘ – the bigger grains from fried garri that don’t pass through a sieve. My intention was to refrigerate the truffles even though the garri had strengthened the walls but hunger didn’t let me and I gobbled them up. 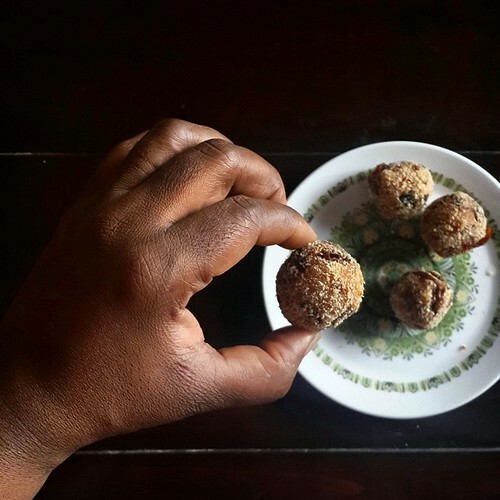 The idea of truffles had come from having stewed beans, sprinkled with garri. Thinking of the contrasting textures reminded me of eating chocolate truffles – I’d learnt to make them one Saturday morning from caramelised white chocolate, inspired by a recipe from an Australian friend of mine while I lived in The Netherlands. I posted the avocado & garri truffles on Instagram and ‘liker’ left a comment about how he’d replaced (Thanks to his Mrs.), breadcrumbs with garri in his burger recipes. My head kind of exploded with the possibilities and all the virtues of Ijebu garri shone through- gluten-free, crunch and no work required to get it ‘fine’ as one would do for/with breadcrumbs. So when I decided to make yam balls and plantain balls, I turned to Ijebu garri for a crust and I wasn’t disappointed. 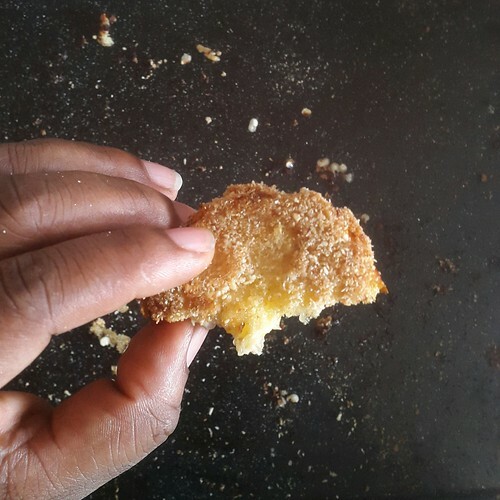 Both fried and baked, the garri formed a crunchy crust contrasting with soft centres – absolutely loved it. And then the idea simmered for weeks and months till last weekend when I decided to make a garden egg bake with cheese and tomato sauce. I was sitting on the couch, not bored but mind everywhere. 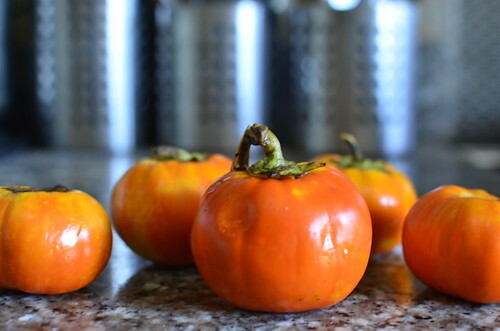 I started thinking about making Eggplant Parmesan with the orange garden eggs which I’d bought green but had ripened orange in my kitchen. 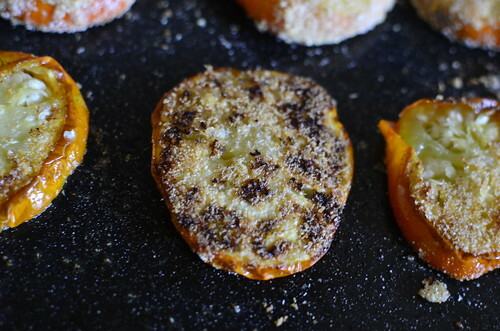 I quickly looked up a recipe and found the garden egg rounds were coated in a mixture of breadcrumbs and cheese after dipping in eggs. I didn’t have bread crumbs and the only store I knew that had it for sure was far away and on and on and oh, and then wait…GARRI. I was soooooooo excited. So thrilled. So convinced it would work and thrilled of course when it did. And that ladies and gentlemen is how some ideas are born.Through a convoluted process sometimes. Usually a combination of so many things and experiences, some even hard to trace. Thing too is, sometimes the idea is a disaster when executed. Not in this case but I’ve experienced many flops. The thing though is I see it as an opportunity to regroup, to start again, another opportunity to learn more and build on the experiences. My only desire is that I apply this learning, this process of creation and resilience to other aspects of my life. Lord help me. 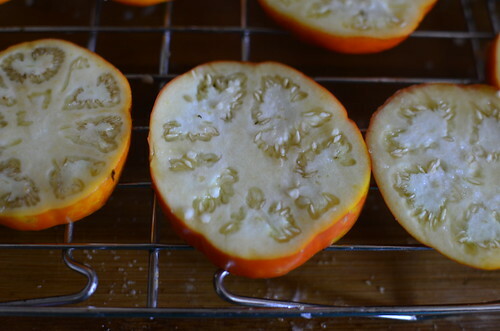 Slice the garden into rounds, just under 1cm thick. Sprinkle salt on both sides of the garden egg slices – this will help draw out some of the moisture so the end result is crisp and crunchy. Put the garden egg slices in a sieve lined with kitchen tissues or on a rack for at least half an hour and up to two. Combine the ijebu garri with the grated parmesan and dried chili flakes in a bowl and set aside. I’m not a big fan of using eggs in developing crusts – I tend to rely on whatever moisture is in the main ingredient to act as the glue. 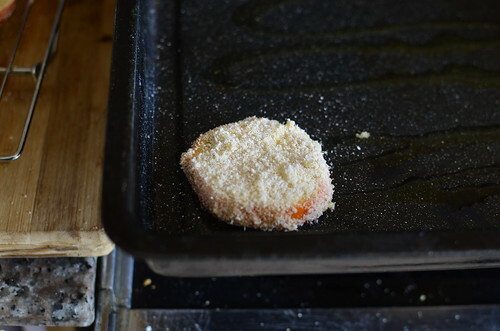 Preheat the oven to 220 degrees C and drizzle some olive oil on the base of the sheet pan. Pat dry both sides of the garden egg slices with paper towel, then one at a time, dredge each garden egg slice on both sides in the garri mixture. I like to do this twice to develop a thicker crust. Place on the sheet pan. Rinse & repeat. When you’re done, drizzle some oil over the top of the garden eggs. 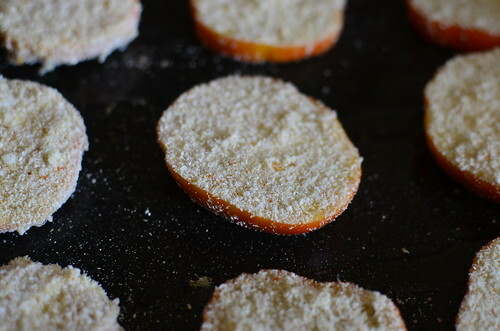 Place in the centre of the oven and bake for 18 to 20 minutes, turning the slices half-way through the baking time. 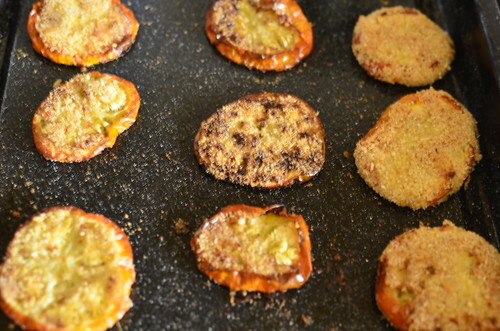 Cook till golden – brown. Remove and serve with a variety of dips – from a chunky peanut butter to a smooth one, to chilli, and even aioli. 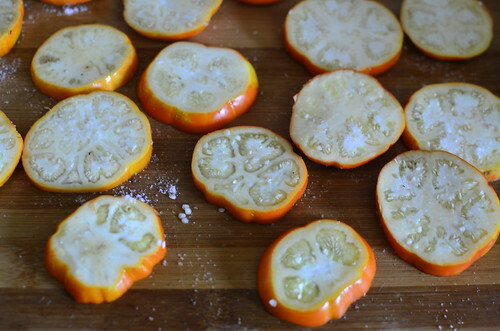 Or incorporate into another dish…Part 2, coming up – Garden Eggs Parmesan.